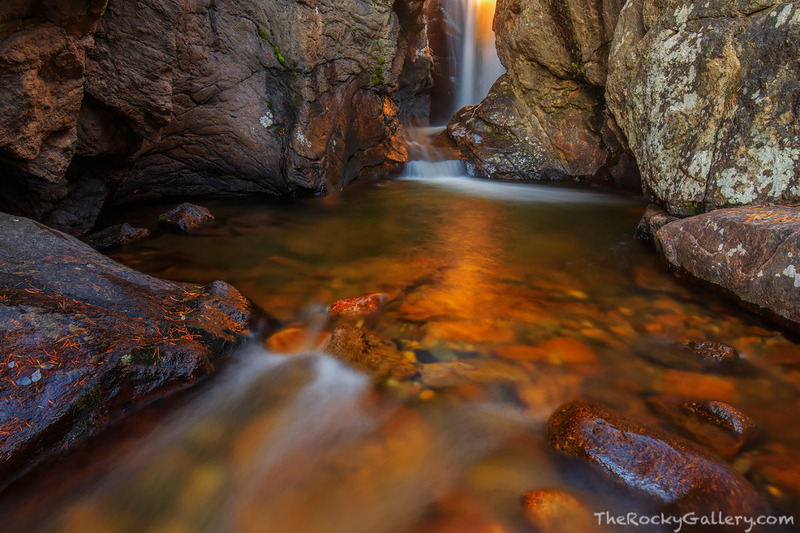 A few times each year the sun rises directly in line with the slot that makes up one of Rocky Mountain National Park's most beautiful waterfalls. Those few times each year when the sun rises directly down the middle of Chasm Falls along Fall River Road, this beautiful waterfall comes to life. The entire chasm glows orange and red as the water from Fall River flows downstream. Photo © copyright by Thomas Mangan.